T. I. gets Sued by those looking for a Pay Day! Tip is catching heat for his latest venture Scales925. 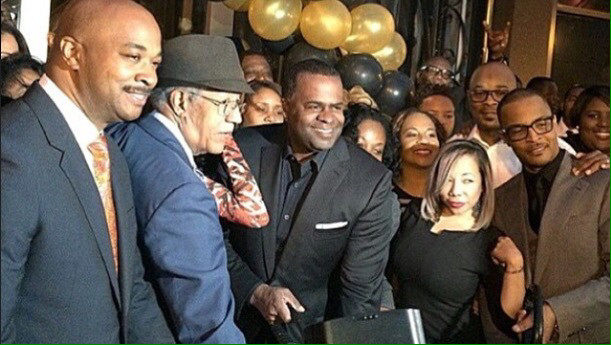 Former employees of the downtown eatery Scales 925 are suing the recording artist, also known as Clifford Harris Jr., for unpaid wages, reports the Atlanta Journal-Constitution. Harris and business partner Charles Hughes are listed as defendants. The suit was filed in the United States Northern District of Georgia on Tuesday. Twelve plaintiffs are citing the Fair Labor Standards Act and claim they were deprived of owed wages in a number of ways. Here we go, first off, are they mad because they didn’t make the grade? Or, is this real? Furthermore, why these 12? Tell these hoes to go get a Candy Bar and get happy! Yes Lawd! Fergie called her girls out to play. Overall, the video gets a 10/10. Fergie slayed. The song is lit. The visuals are amazing. The song is perfect for the season. And, of course, Fergie can do no wrong!